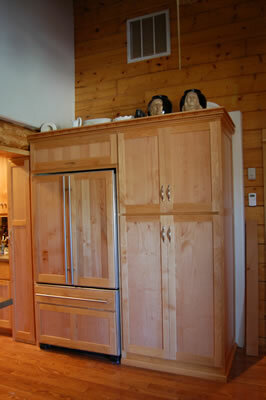 Glazed Alder with inset door. 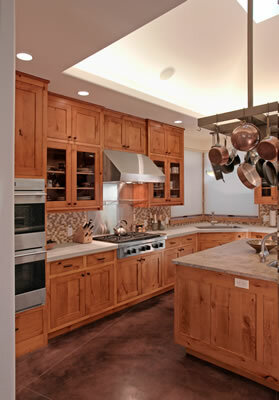 Glazed Alder with hammered copper panel insets. 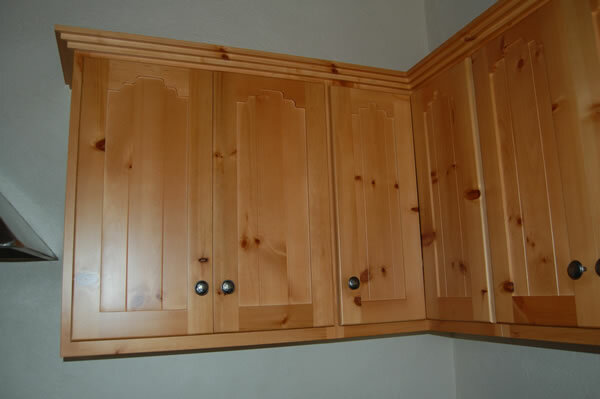 This is a “green” job. 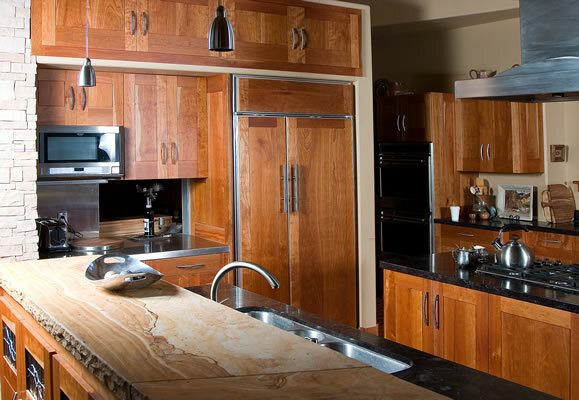 The fronts are bamboo ply, the interiors are a green product called “skyblend” and the finish is an environmentally safe waterborne finish called “Agualente”. 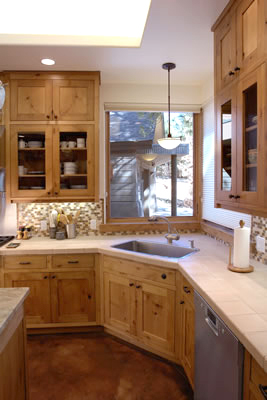 It is located in Telluride. 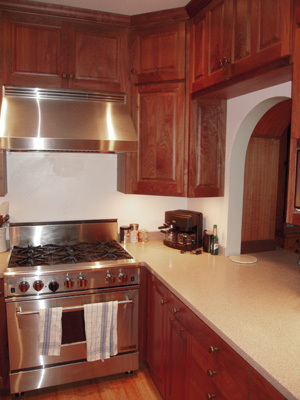 This is a walnut kitchen in a tight NY city apartment, where space was the premium. 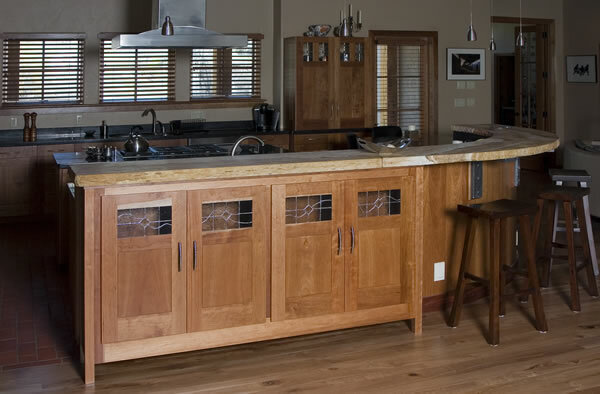 The countertop is Corian and is continuous from the kitchen area to the sideboard serving area. 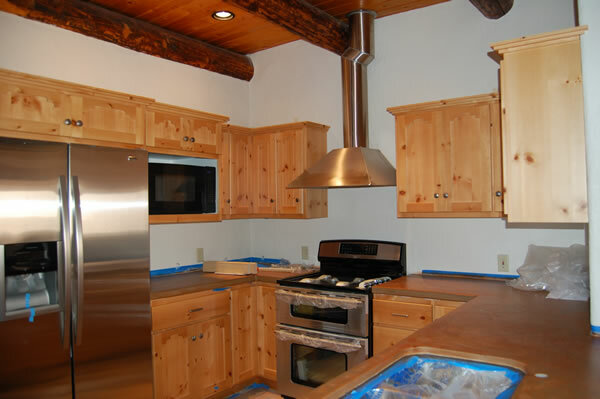 This project was built here in Mancos, Colorado and trucked to New York. 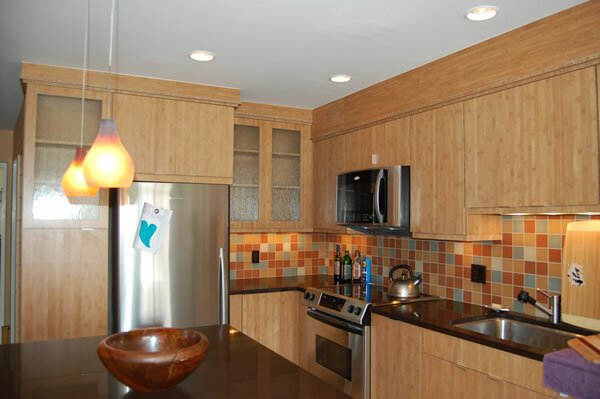 We went out there and did the install. 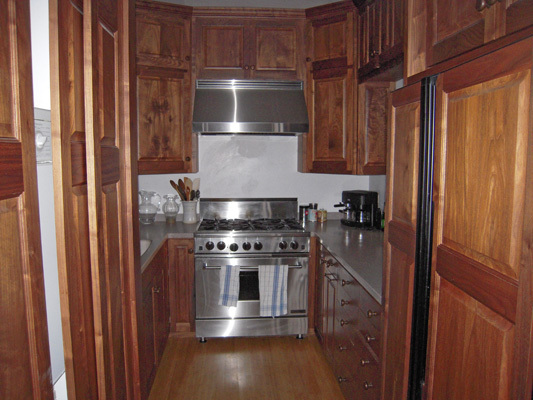 This is a walnut kitchen in a tight NY city apartment, where space was the premium. 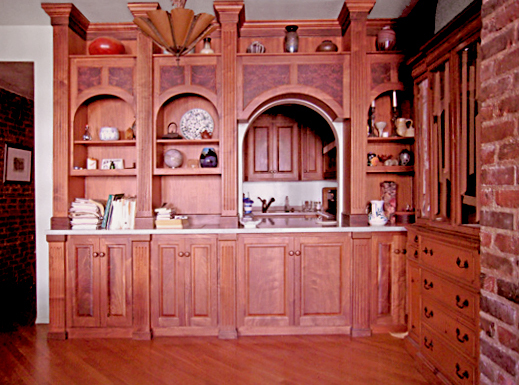 The living room/dining area side functions as both display area and bookcases and as a sideboard for entertaining. 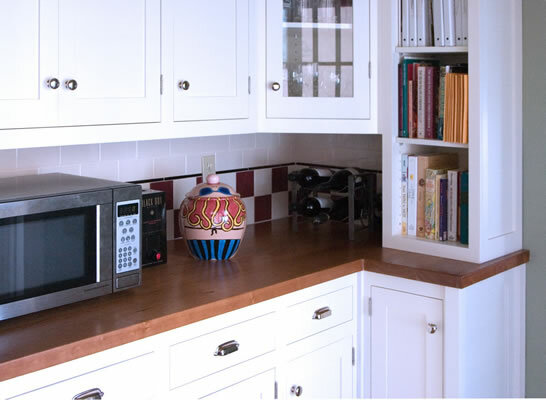 The countertop is Corian and is continuous from the kitchen area to the sideboard serving area. 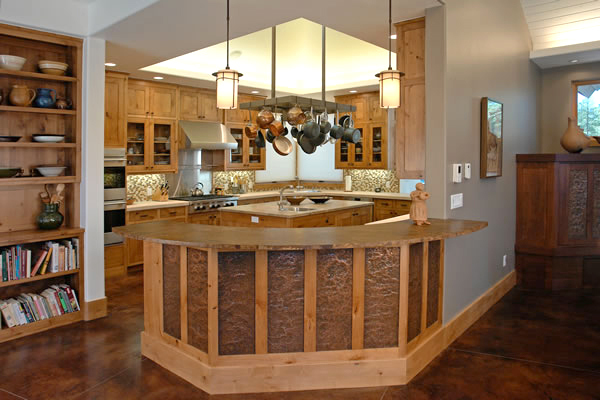 The arched panel on the living room side are veneers of Italian walnut burl. 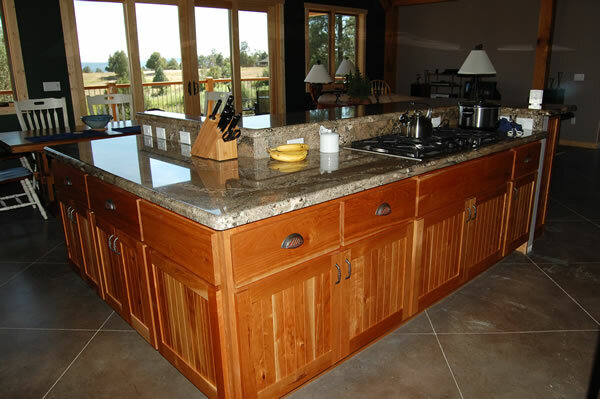 This project was built here in Mancos, Colorado and trucked to New York. 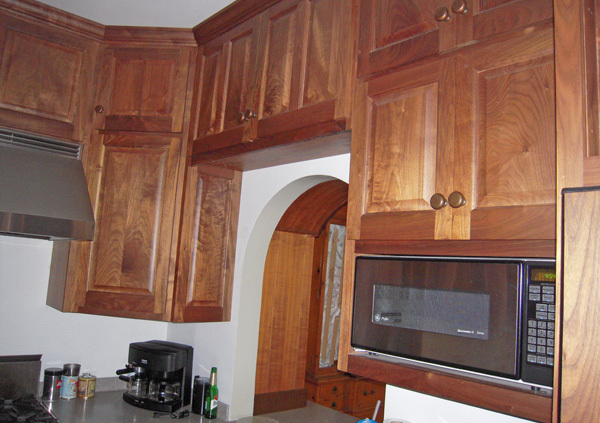 We went out there and did the install. 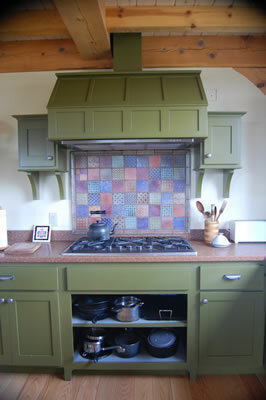 Painted kitchen with a "country cottage" look. 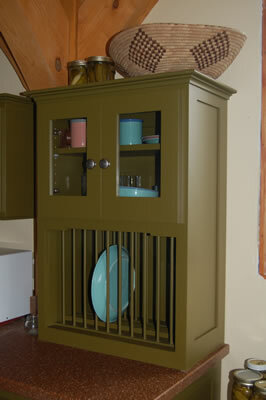 This painted kitchen hutch is part of a Victorian kitchen at a home in Durango, Colorado. 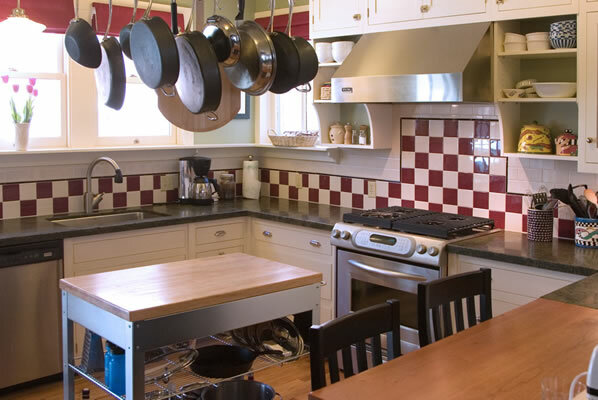 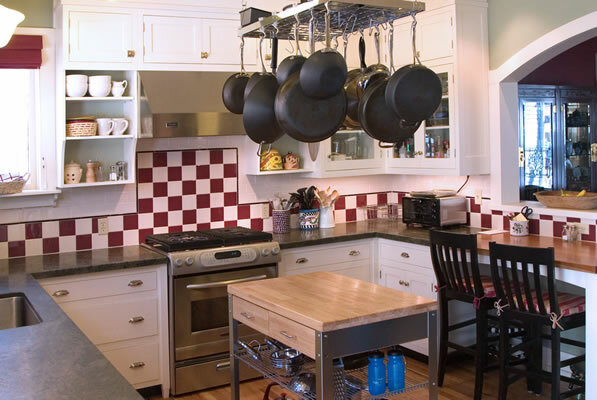 Custom-built, painted kitchen cabinets and stove vent cover. 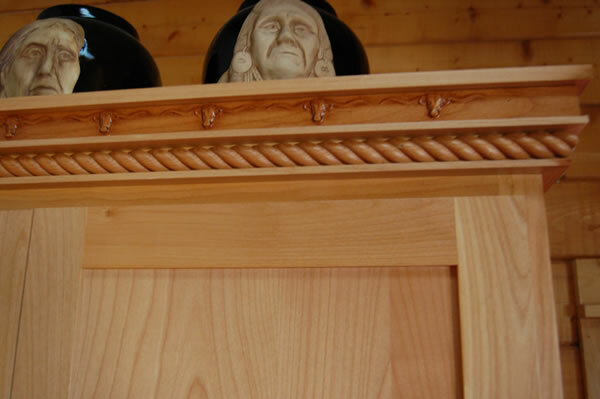 The crown of this stained alder cabinet was custom carved with repeating longhorn motif with 108 “head” of cattle. 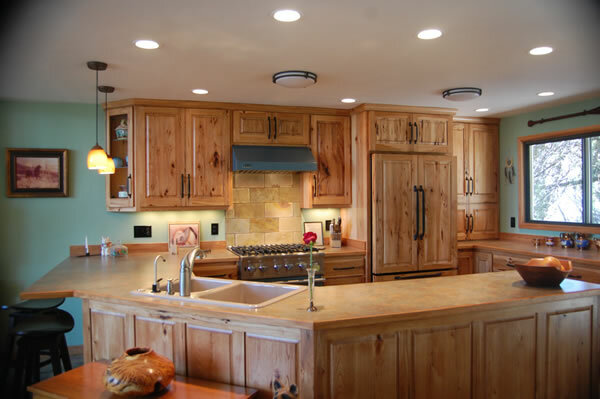 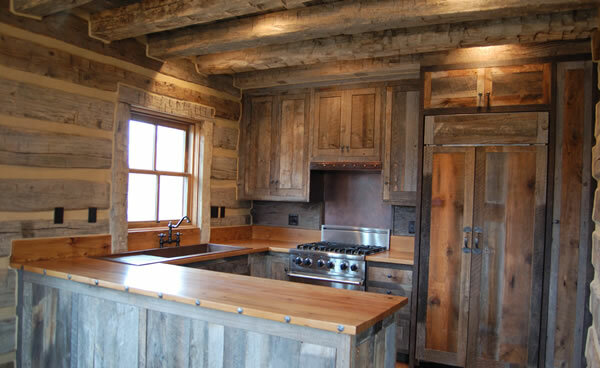 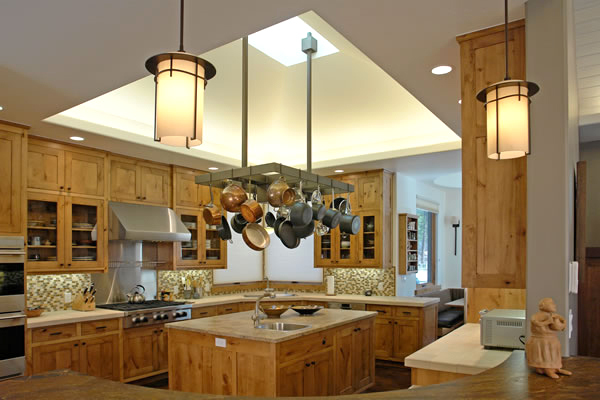 Located in Telluride, Colorado, these kitchen cabinets are made of recycled wood. 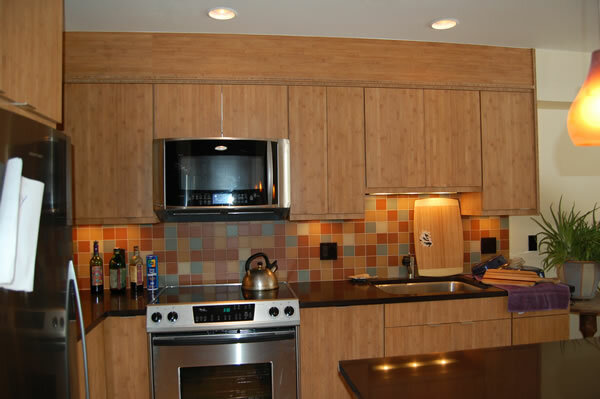 The interiors are finished plywood. 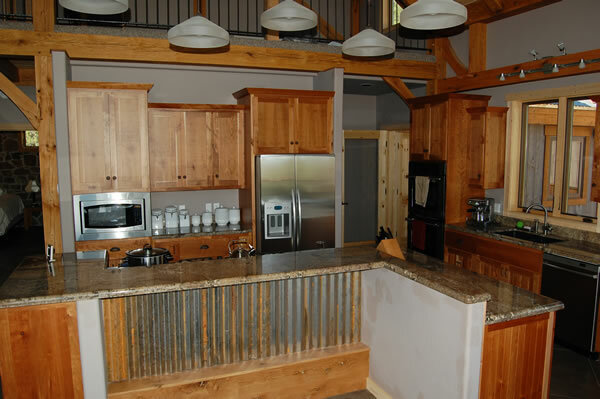 The house is constructed of all recycled wood and meant to look like an old miners camp. 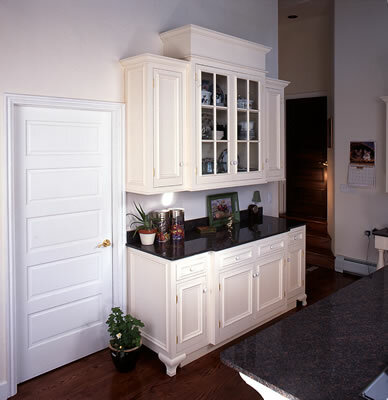 Arts and Crafts inspired, these kitchen cabinets are constructed with low grade cherry for it's character, with beaded panel doors. 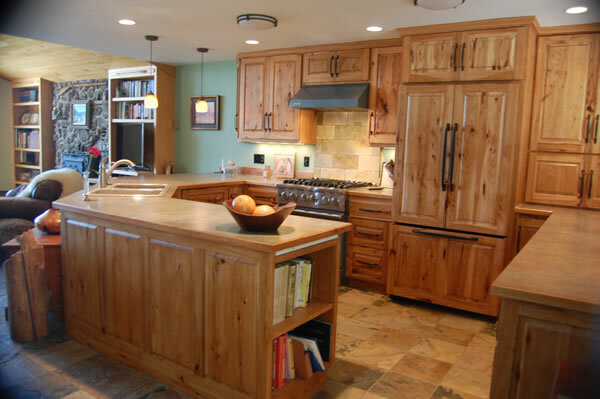 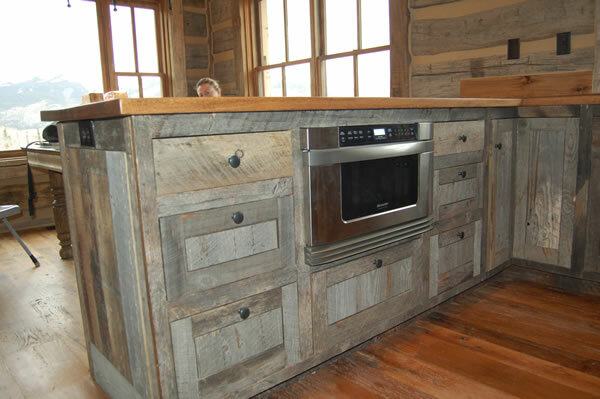 This southwest pine kitchen has a tone-varnish finished to give it a little aged patina.